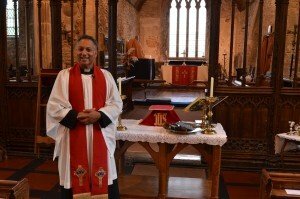 THE BELLRINGERS’ COFFEE MORNING held on 16th March 2019 in Bampton church raised £470. Well done Bampton Bellringers! Our appreciative thanks go to them, as well as all those who supported the event. DO YOU ENJOY SOCIAL ACTIVITIES? The PCC would like to get a group together to plan and organise a number of events during the year. Can you help? Other volunteers will be available to assist with the practicalities. Offers to Sue please at 01398 332162. This year Bampton Primary School together with St Michael and All Angels organised a rota for Posada (nativity Figures of Mary and Joseph) to travel from home to home around Bampton during the Advent time. Many thanks to everyone who supported the Christmas Fair on 1st December 2018, which raised the magnificent total of £841.04 towards church expenses. 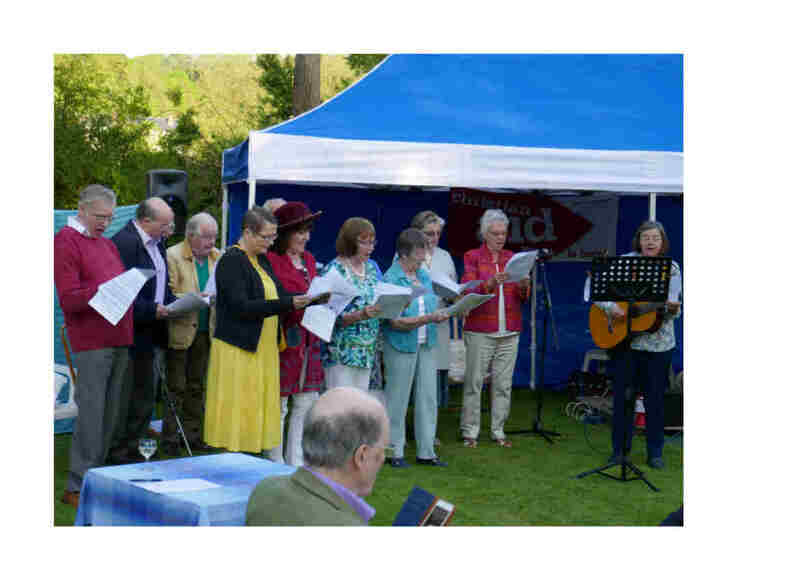 The singers at the Christian Aid fund-raising event in May 2018. 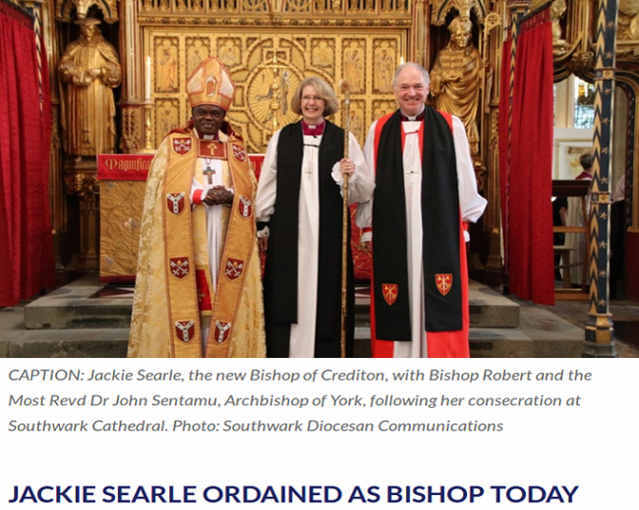 The next Bishop of Crediton will be the Venerable Jackie Searle, currently Archdeacon of Gloucester, 10 Downing Street has announced today.